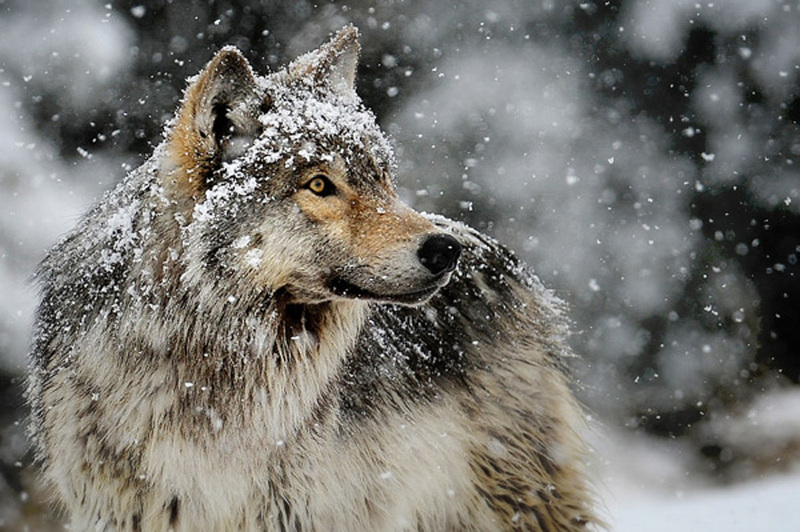 Wolves are the largest members of the canine family and are the ancestors of domestic dogs. Wolves live, travel, and hunt in packs and have complex communication systems. Their packs are arranged according to a strict hierarchy in which they develop close relationships and strong social bonds.